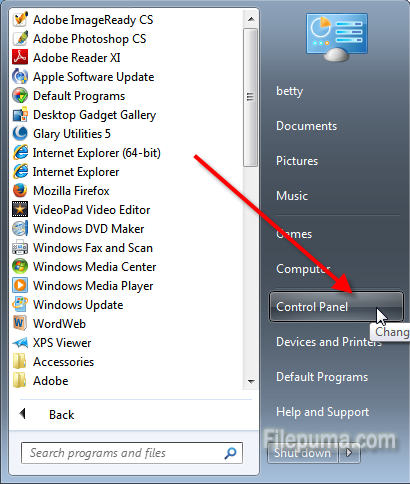 How to Add New Users in Window 7? 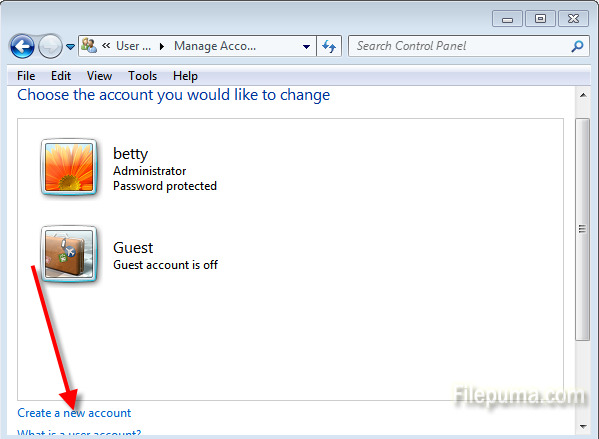 Windows 7 allows you to have multiple users sharing the same computer under their own individual accounts. Each person can have a separate user account, which allows different uers have their own location on the computer where they can store their personal documents, pictures, videos, saved games, and other personal data. 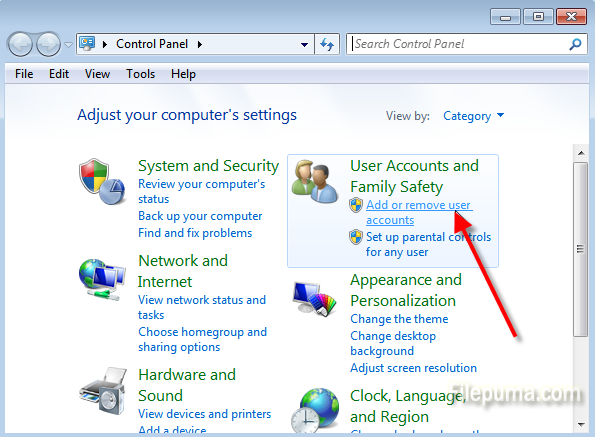 This article will walk you through creating a new account in Windows 7. Step One: Click “Start” button in the lower left corner of the screen and select “Control Panel” menu option. 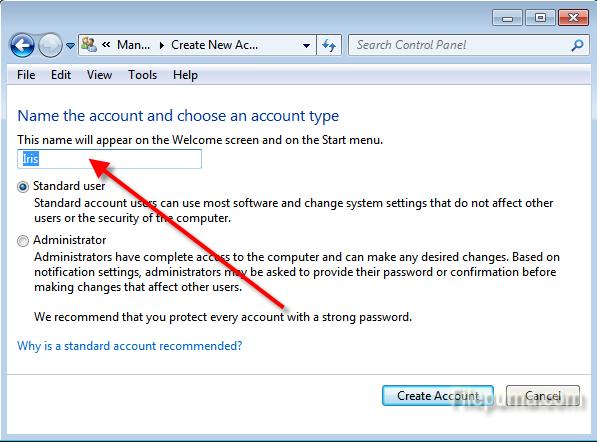 Step Two: Click “Add or remove user accounts” control panel option as shown by the red arrow. Step Three: This screen shows all the accounts currently on your computer. To create a new account, click on the “Create a new account” option. Step Four: Enter the name of the new account that you would like to create and click “Create Account”. Then a new user account will appear.